The brilliant blue stone on this pendant from Posh Mommy salutes September's babies. 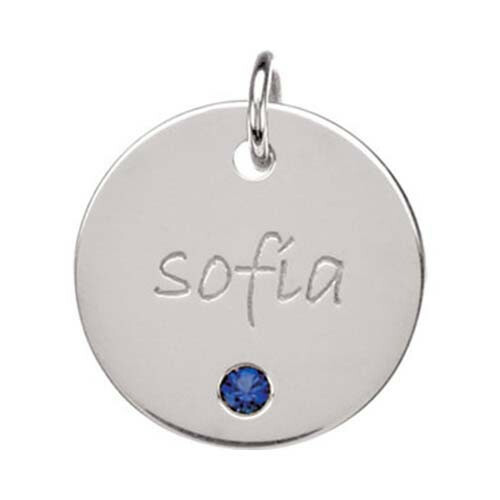 Crafted in sterling silver, this piece of mother's jewelry has a smart-looking synthetic sapphire and room for up to eight characters of engraving. The pendant is suitable for mothers (and grandmothers) of all generations! A coordinating chain can be purchased separately.